Andy Tween is a freelance drummer, television music composer and percussion teacher at The Wells Cathedral School in Bristol. 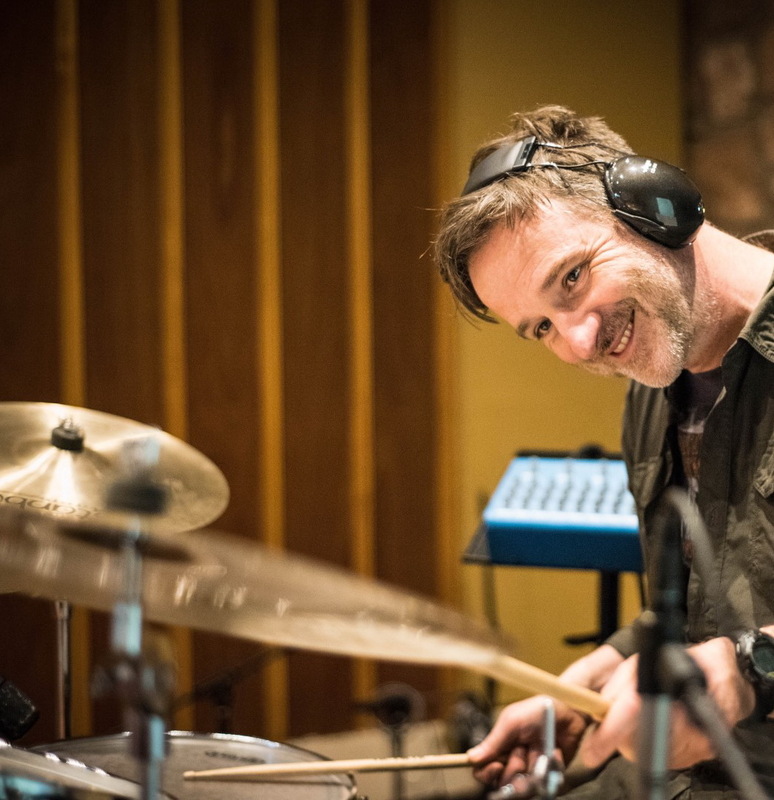 He originally studied in1997 achieving qualifications as a performer and composer with a postgraduate jazz and commercial music course at the Guildhall School of Music enabling him to work extensively in television and film music production and as a touring musician. Andy post his graduation located to Monte Carlo for a 15 month period playing percussion with the resident band, The Tony Evans Dance Orchestra, performing shows in the main Casino venue and supporting the headline touring artists. With an offer to join Pee Wee Ellis (James Brown Van Morrison) he relocated back to the UK and toured extensively in the U.K and Europe. Between touring periods he is very much in demand as a session musician for many artists including Mercury Prize winner Seth Lakemen. His recording career as a session drummer with Seth Lakeman led to recording with artists as diverse as Show of Hands, Cara Dillon and has performed and recorded with numerous eminent Jazz, Folk and Soul musicians including Fred Wesley, PP Arnold, Jim Mullen, Carl Orr, Jean Toussaint, Tony Remy, Cameron Pierre, Elliot Randall, Art Themin, Andy Sheppard, Dave Newton, Fay Hield and The Hurricane Party, Lillian Bouté and pop artists Limahl, Sonja Kristina (Cloud 10) and ex-Royal Ballet star and contemporary choreographer Michael Clark. Andy also composes music for many TV productions and more recently for the BBC Sport Relief and Comic Relief productions. His work is also included on many documentary programs including the Discovery Channel and many others. Between his many commitments Andy utilises his time writing for the library music company LuckyG, and his work has been used successfully on many TV channels and media networks. In 2015 he was very proud to have composed and created all the music for The Green Heart Films documentary program on the rise of Ebola called 'Africa's Troubled Heart'. Additional work continued with Green Heart Productions included two 50 minute documentaries titled Latin America's Green Heart and Africa's Green Heart. From 2007 Andy continues and contributes to TheTrinity College drum grade examinations system, writing and arranging Pieces of music for grade 2 through grade 8 students exams, and encouraging youngsters to follow there dreams and ambitions in music. Andy is excited to have joined Curved Air and is looking forward to the upcoming touring schedule.